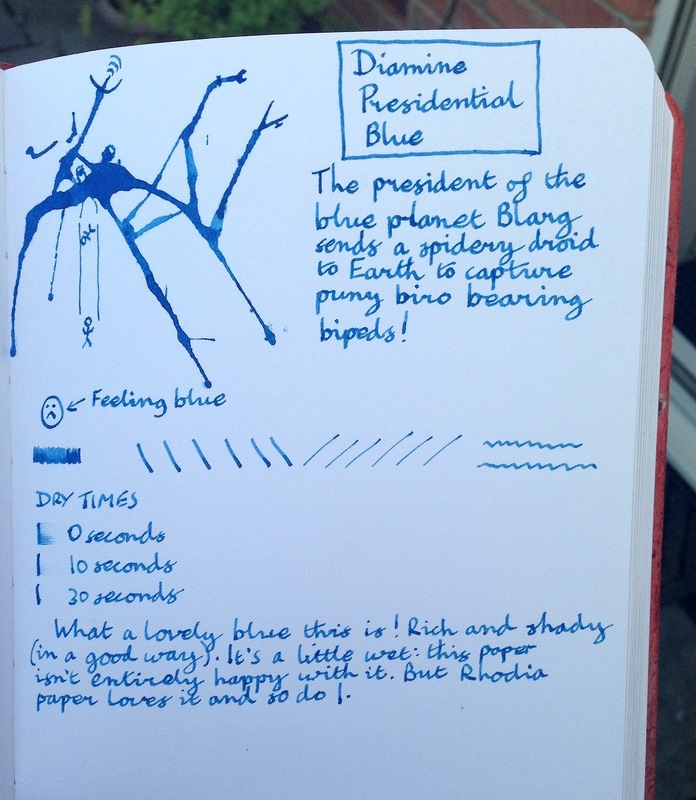 Diamine Presidential Blue ink review – Pens! Paper! Pencils! This is a very lovely blue. It feathered ever so slightly on this paper but not so as you’d notice unless you were doing a combined ink and notebook review.